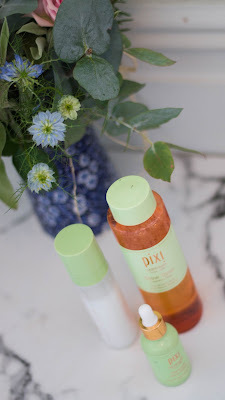 Whilst rummaging through my skincare I noticed three of my staple products are from the same brand; Pixi by Petra. I thought I'd write a little post on the three to give the brand a bit of a high five, and to let you know some skincare that I think is well worth your money. Glow Tonic: Possibly the most talked about of the three. 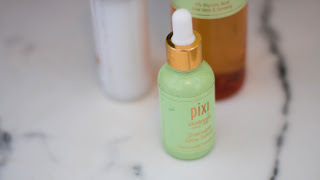 Pixi Glow Tonic is an exfoliating toner, which I find leaves my skin looking alive and healthy. I'm on my second bottle of this now and I will keep repurchasing as this is the only skincare product I've found to give my skin such a natural glow. Hydrating Milky Mist: As you can see the label has completely rubbed off this one of mine, that is because I carry it in my handbag pretty much as all times. I really love this product. It's literally what it says on the bottle, a hydrating milky mist. I like to spray this on my face through the day to give my skin a surge of moiusture. It's very refreshing to use, and can also be used over make up. Overnight Glow Serum: The gloopy night serum leaves my complexion feeling brighter and my skin looking healthy in a similar way that the glow tonic does. When I wake up after using this I find my skin looks slightly more alive. Also how cute this the bottle?! 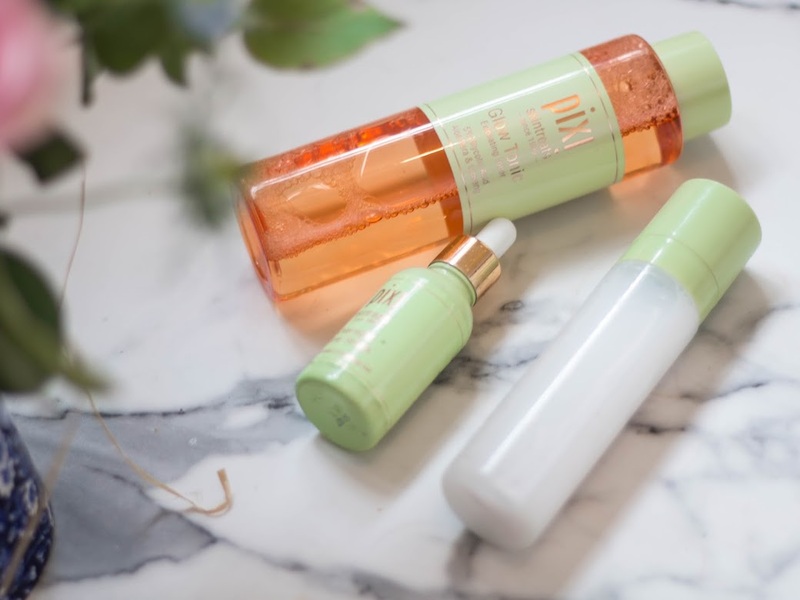 As I'm not scientist, or skincare expert, I've probably done a pretty poor job of explaining what each of these products do, or how they work, so I'll leave it at this. I love what all three of the products to do my skin, and I can definitely see a difference in a appearance and texture of my skin when I use then - I'd strongly recommend trying them out if you haven't. 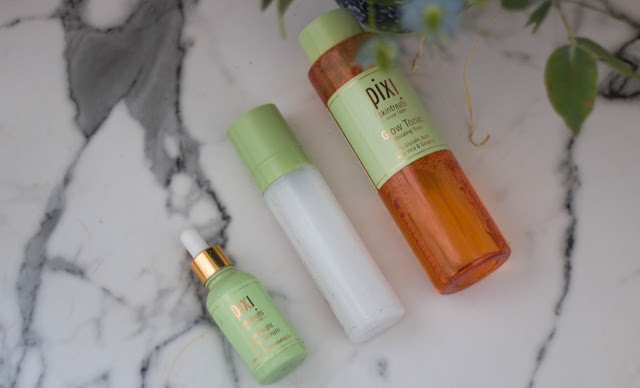 Have you tried any Pixi by Petra products? I'd love to hear what you think of the brand.